Announcing the Jay's Place New Year's Eve Pinball Party! 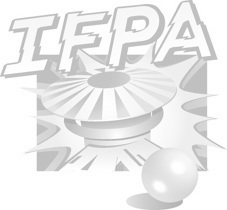 Join us for a little friendly pinball competition at this IFPA registered event. Doors open at 11am and competition starts at 12am. This will be a casual Match Play format with A, B, and C Division finals so all skill levels can enjoy the fun. We are shooting to wrap things up by 6:00 PM for those with obligations for evening activities. Registration will be limited to the first 32 people. Please post a message to the PinCrossing webpage with your number of attendees if you plan on joining us. The fee is $30 and covers lunch, snacks, drinks, dinner, prizes and a trophy for our champion. We'll also have some fun side contests for everyone to try!